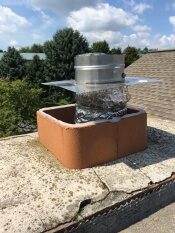 Chimney lining systems are designed to upgrade substandard chimneys and/or match vent size to the requirement of the heat source as required by the National Fire Protection Agency (NFPA 211). 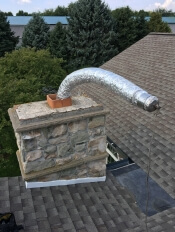 It is also ideal for building efficient chimneys in new construction. 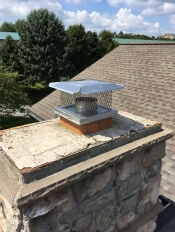 When inspecting your chimney for the installation of a lining system we take into account the many variables that are present and those which may arise. We walk you through the installation process and provide options that are suitable for you individual situation. When installing a liner system we meet or exceed the minimal manufacturer’s instructions as well as the current prevailing building codes. Overlapping/Interlocking creates a multi-layer heavy duty, heavy gauge pipe. A single corrugated strip continuously welded or crimped seam creates a lightweight water/gas tight highly flexible strong pipe. 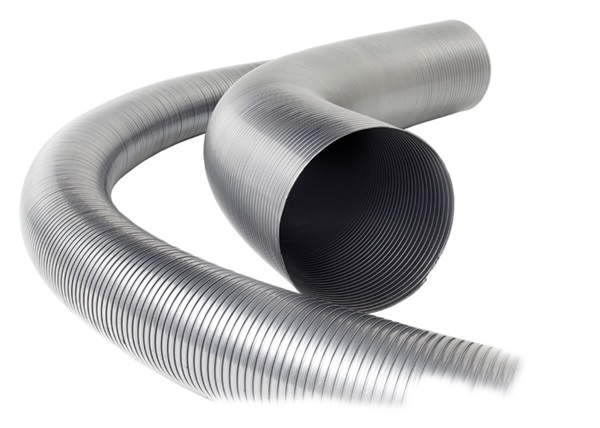 A two ply pipe consisting of a corrugated outer wall and a flat spun inner wall creates a mid-weight, semi-flexible with minimal resistance-to-flow pipe. 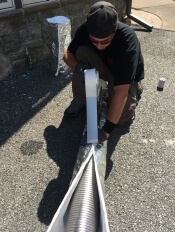 Other considerations including weight, thickness, strength, alloy type, size, shape, and when or when not to insulate are a just a few of the many variables to be addressed to assure a properly functional, serviceable installation. Our goal is to provide you with a properly installed, readily serviceable system that meets your needs.